September 2018 is almost upon us and we all hope that there are many would-be flute students out there who are really excited to start learning the flute! With that in mind I have edited my Tutor Book Recommendations blog from last year to help you get started. There has been very little activity in this area of the catalogue in the last year and so these three books are still the most interesting around today. All three have been extremely popular and have all made the initial stages of learning just that little bit easier. 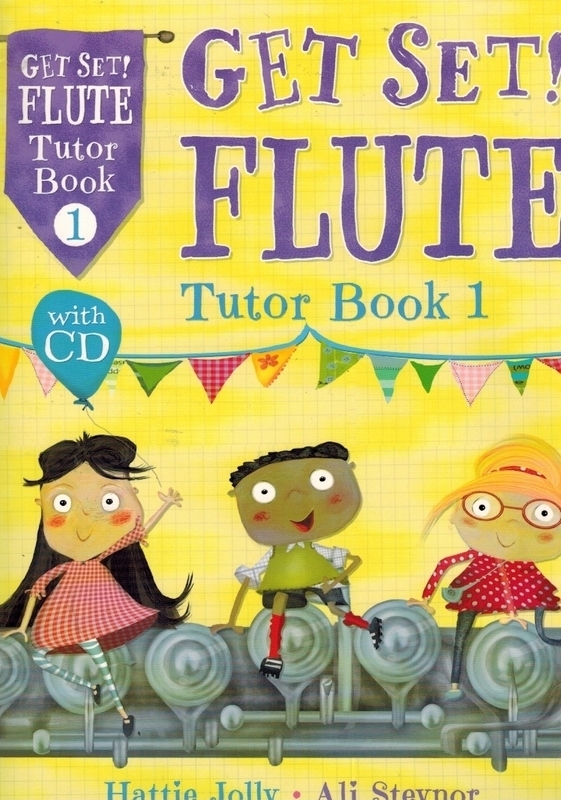 The market for flute tutor books is crowded and often bewildering. There is almost too much choice, with different approaches, starting notes, rates of progress, type of repertoire and even the basic quality of the publication all jostling for our attention. Here I’ve picked out three lovely books which are aimed at the younger end of the market, and all are written by flute players. They may just help! This really good tutor book has proved to be very popular over the last year. It is written by two experts who are passionate about the whole flute teaching process and it really shows. At its heart is a clear desire to encourage and nurture young players, keeping the development of a good musician to the fore throughout. They are astute enough to price it well too, so it’s excellent value for money. This book has several major advantages. Firstly the layout is relatively simple and uncluttered with no gimmicks. The black and white illustrations are usually pertinent, and if they are decorative they add to the page rather than detract from it. There are no photos to illustrate posture – that is left to the discretion of the teacher. Secondly, progress is steady. 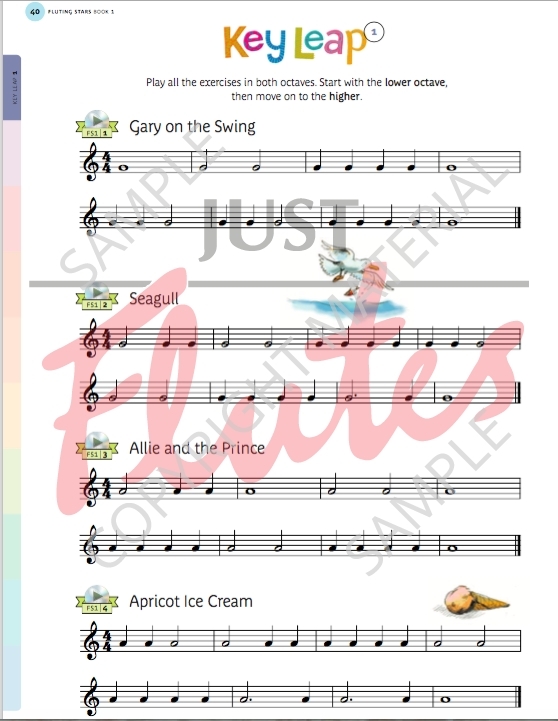 Each chapter introduces a single note and each tune or exercise has a clear purpose. Some pieces use practice bars to help with the learning, and encouraging downward scales at such an early stage is extremely useful. Playing from memory, experimenting with articulation with evaluation of the results, improvisation and basic writing skills will all stretch the imagination of a young player and make the learning process much more varied. The anticipated grade at the end of the book is Grade 1. Thirdly, and most importantly, rhythm, making a good sound and aural awareness are given a very high priority throughout, ensuring that the core aim of musical development never gets lost. This makes total sense but is quite often missing in the dash for learning ever more notes faster. A further plus is that this book is designed for both individual and group tuition. 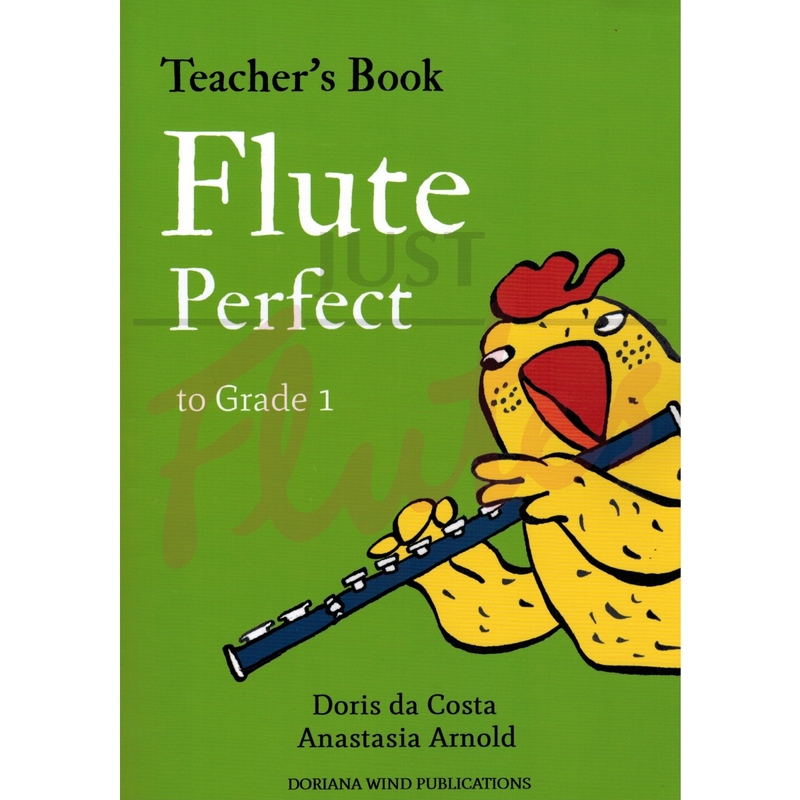 This is supported by the excellent Flute Perfect Teacher’s Book which is a great resource for all of us but is especially useful for new teachers and those for whom the flute is not their main instrument. It’s multi-tasking with comprehensive teaching notes, ensemble parts and piano accompaniments all included. There are tips and suggestions to help with each chapter including group activities such as warm-ups and improvisation. These are clearly outlined and can give a welcome structure to a lesson as well as providing material that can be used elsewhere. 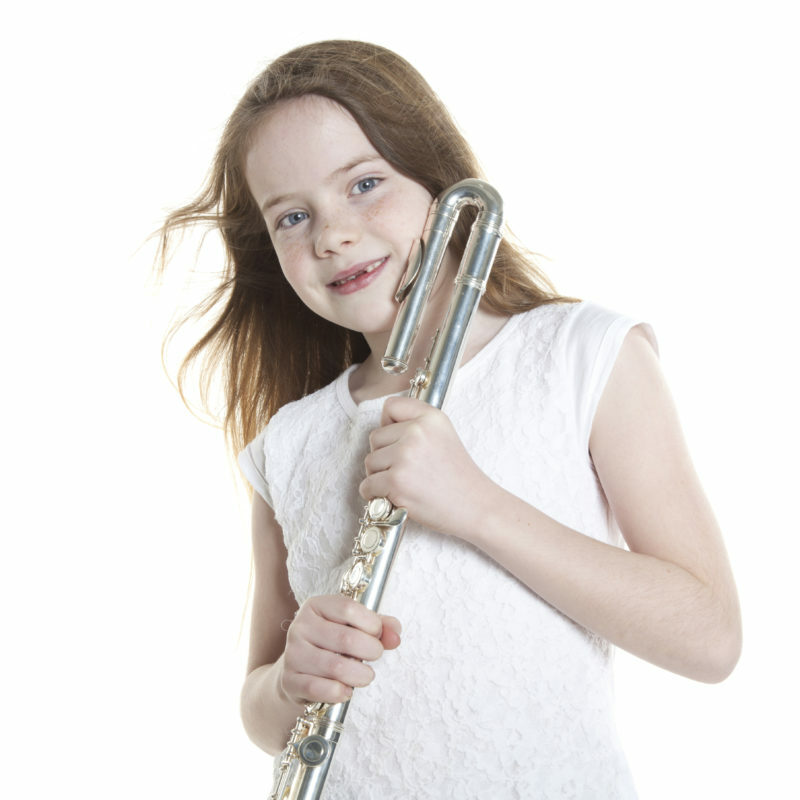 As the main focus here is on learning through ensemble playing it’s really helpful that the arrangements are flexible and that all the parts can all be photocopied. Piano accompaniments are included too and can also be purchased separately. At the very least you will find these books a useful addition to your teaching bag and they may end up as the only tutors in it! This is the most modest of the three books but the only one to include a backing tracks CD with printable piano accompaniments. 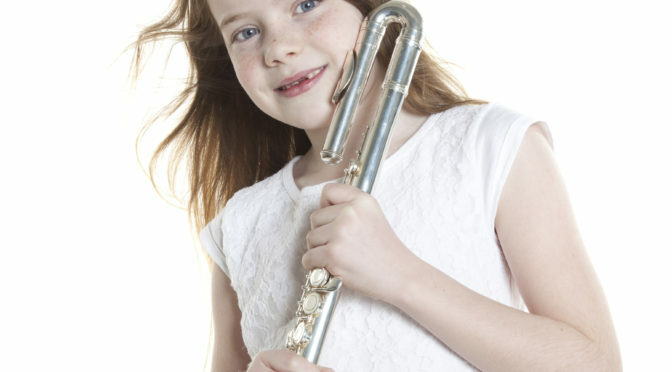 It’s marketed as suitable preparation for the Prep Test and pre-Grade 1 so it’s great to see a curved head flute included in the opening photos. There are some lovely illustrations throughout and the book is quite colourful generally. Picture signs signal Listen up! 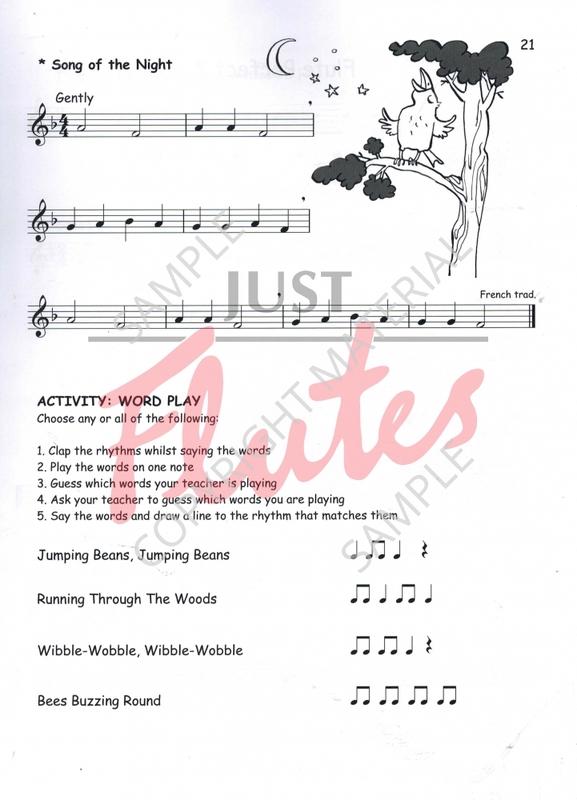 games, Rhythm Time activities and Find, Say and Play games which are designed to help accomplish various tricky tasks such as the difference between B natural and B flat, or memorising a simple piece. The first things the beginner meets in this book are pulse and breathing, before it moves on to some quite extensive work for headjoint only. There is nothing ground-breaking here but everything is explained clearly with an emphasis on rhythm skills, listening skills and tonguing. Basic theory is covered also using the headjoint, so that blowing and reading are already in place before the topics of putting the flute together, holding and cleaning the flute, and posture and balance are introduced. There are more clear instructions here and even parents will be able to see whether or not these elements are being put into practice! Notes are introduced using diagrams, with different colours used for each hand – blue for the left and red for the right. The material used is almost all original and extremely well written, and each skill or musical point covered is logically laid out. There are plenty of written activities too and these will deliver theory by the back door. Inevitably the pages appear busier as the music becomes more complex but as the range reached at the end is only one octave from low to middle D this is not too much of a problem. Supplementary repertoire is available in Get Set! 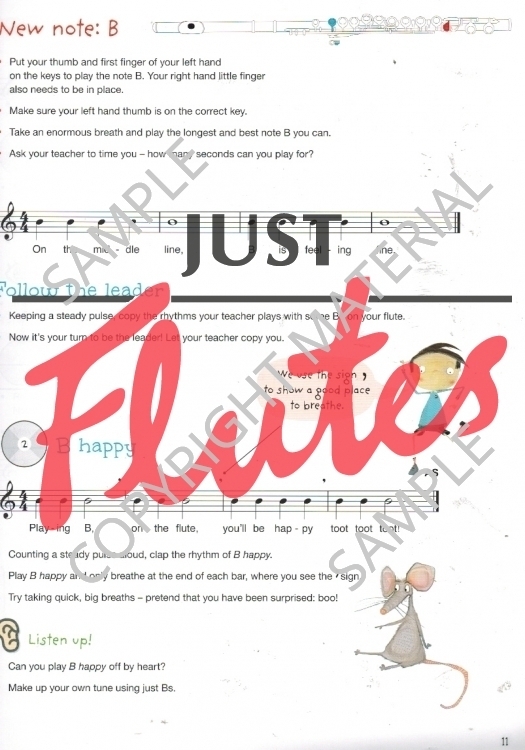 Flute Pieces Book 1 which has a printed piano accompaniment and another backing track CD. Although not directly linked to the tutor, running both together will provide a really thorough work-out! Overall these are lovely books for enthusiastic little ones and it won’t break the bank! This is the top end of the market price wise, so what do you get for your money? A first rate composer in Blaz Puciher for a start and most of the material is original. You are also paying for very high quality books that are beautifully produced in full colour. The illustrations are sumptuous and any young player will surely love looking at them! The scope in terms of notes covered is wider although progress is made via musical complexity in Book 2, the third octave being left for another day. Piano accompaniments to all the tunes are available as a download. 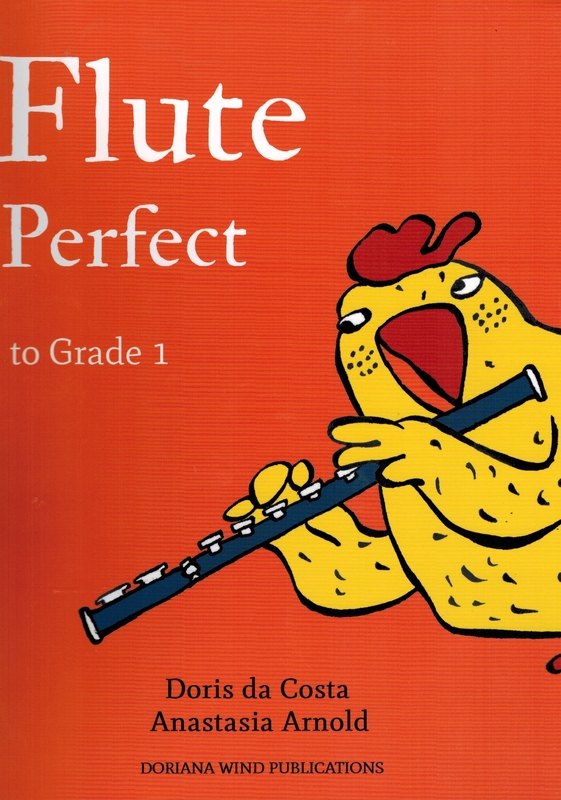 This book is also aimed at the younger pupil so curved head flutes take their place alongside the straight head ones. The drawings and photos are really clear, making assembling and blowing very easy to follow. Breathing and embouchure set-up are covered in detail and here the colourful illustrations really help lift this information off the page. The extensive headjoint section in this book includes the use of the Pnuemo Pro blowing device which is interesting if you haven’t seen it in action before – again there are some lovely photos. Tone quality is right at the heart of the first section of Book 1. A radical departure from the norm is the introduction of singing and playing, single, double and triple tonging, and vibrato before the use of the whole flute. Now that really is interesting! Another unique feature is the initial lack of notation. The first note learned is middle register D followed by low and middle G, A and B. This is done together with a box for naming objects starting with those letters. It is only then that ‘How do we write music?’ is broached. This is really quite comprehensive! The format of the second book is the same except that there are more notes and fewer illustrations. 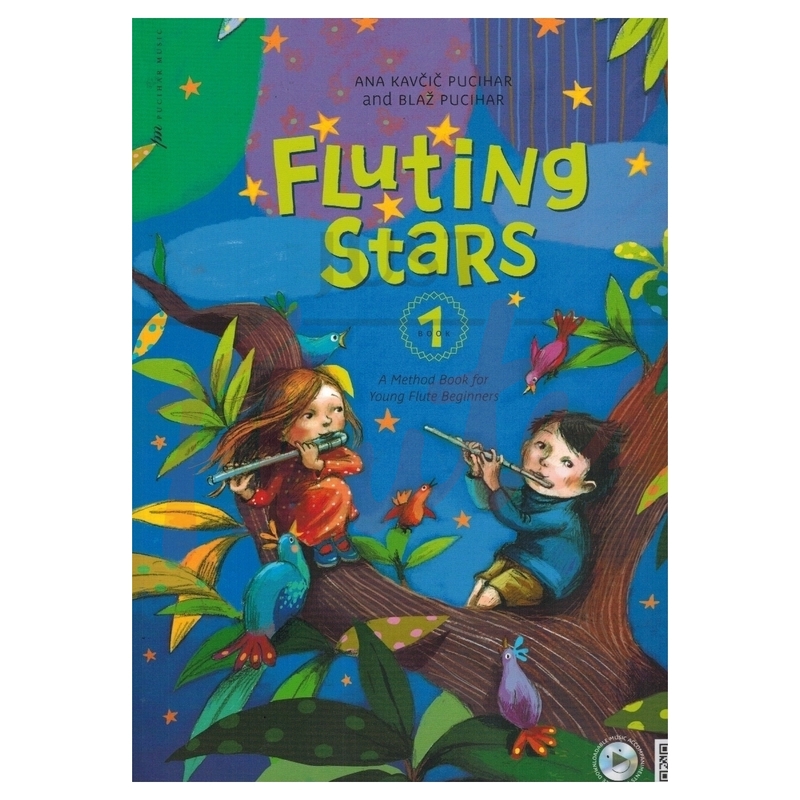 These are impressive books written by committed educationalists who have a great deal of experience of the flute and a wealth of knowledge of teaching. It’s an investment purchase but they really are quite beautiful! All these excellent books will make any young student really happy. That also means happy teachers, not to mention parents. Have fun deciding which one to go for – all three perhaps?